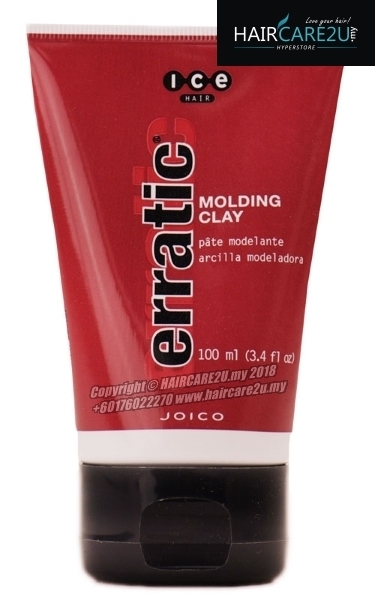 If you like that feel of second day hair without the grime, Joico Ice Erratic Molding Clay is perfect for you. It delivers everything you want and nothing you don’t. Erratic is a natural clay paste that delivers pliable, tactile texture and great hold to your hair, without weight and grit. You can use this matte finish molding clay to define your curls, pieces and dreads. It has a fresh cucumber fragrance that soothes your mood. Use Joico Ice Erratic Molding Clay on your dry hair for a matte finish and ultimate flexible texture. Alternatively apply it to your damp hair for more subtle texturised results with some shine. Rub it between your hands. Work it through your hair and go!